September | 2012 | NY Politics Corrupt Co Albany City Hall! Remember word on the street is Vito Lopez as the goods on just about everybody! Charles Hynes the Brooklyn DA praises Vito Lopez and Hynes daughter worked for him. Need I say more? Vito Lopez could run Brooklyn from prison. How he has avoided prison for so long is beyond me. Where is the criminal investigation in to ECTP the 911 Tech System — did no one notice we went over budget over 1 billion tax payer dollars. John Liu did and handed over an audit and a request for a criminal investigation there is none so far. One Term Cy, Cy Vance with the shortest tenure — is that the correct term won’t prosecute St. Vincent’s crooks and if he won’t prosecute the 911 Tech system he needs to turn it over to the US Attorney asap. 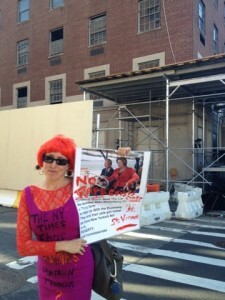 CityTime trial as been delayed almost until Mike Bloomberg is out of office and he hopes to put his partner in crime puppet Christine Quinn on the throne. Hey I am just an artist….I paint with my words — so explain to me how 50 million dollars for McCarren Park swimming pool isn’t money laundering? Welcome to The White House to Albany to City Hall — all run like a corrupt co! From the Bronx to Queens to City Hall the City is split in to mini-Oligarchs run by corrupt families and their pals. NYC is oligarch central. What happen to Democracy. We aren’t corrupt politicians in jail? They are just too many? These are my opinions — enjoy.